Even though you might have good intentions you struggle in clearly articulating your emotions. Love comes out in the form of worrying. Wanting to help comes out in the form of overly critical. Wanting what is best for someone comes out in the form of tearing them down sometimes. It’s going to cost you a lot of your relationships if you don’t learn how to properly convey your emotions and simply hide behind the vulnerable ones. Despite the fact you might say all the wrong things and offend people sometimes, you care you just don’t know how to clearly articulate it. So it comes out a little too blunt and honest sometimes. The best thing you can do is learn to listen closely and try and understand. While it’s wonderful to be goal oriented and super into whatever occupies your time, you are the first to put your job before your relationships. Success is great but not if you don’t have someone to share it with. You see things in black and white. It is possible to not choose one over the other. Then occasionally when you do find a love you jump so quickly into it next thing you know you’re marrying the person by the second date and you scare them off. 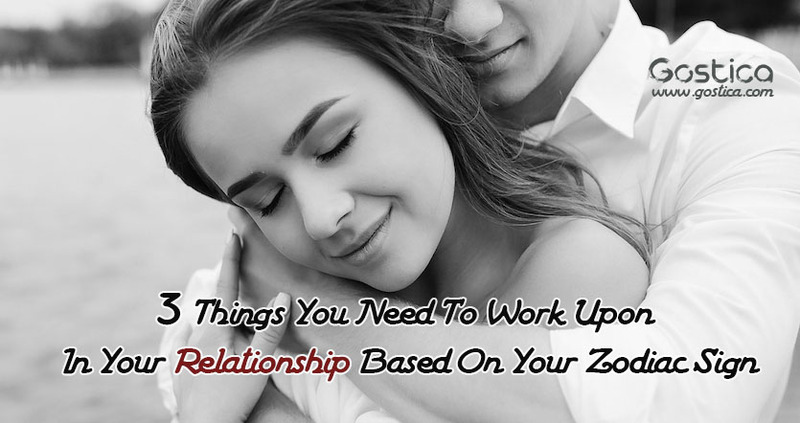 When you aren’t jumping face first into relationships, you aren’t valuing the relationships you have. Sometimes someone has been there for you so long, you spent so much time focusing on other things, then they leave because they weren’t valued enough in if they loved you. With that, you end up in a lot of not so healthy relationships because opposites attract. You go for the type of person you can fix. You go for the person who is a project. You go for the relationships where you have to invest a lot to maintain it. And you are so used to giving yourself to everyone it doesn’t feel like a task. But you look at yourself and I know there are moments you feel empty. There are moments you wish someone would give half as much as you do. There are moments you just want a simple relationship. Look at the people you go for. Sometimes it’s okay to change it up a bit. Sometimes it’s okay to play it safe. Sometimes you have to just go for the nice person because that’s what you deserve. You focus so much more on your friends and keep your family at arm’s length when they annoy you. But you’re the funny person. The one people say are cute and cool to hang out with. Whether you’ve fallen for people who haven’t wanted more or just decided to stop dating, you just don’t want a relationship at all. But someone is not going to give up on you as easily as others have. You push people away out of fear. But the truth is the happiest you’ll ever be in your life is the day you find the courage to let your walls down a little. Because when it’s the right person it won’t hurt like it might have and you won’t have to resort to the defense mechanism of pretending not to care. You tend to focus a lot on the future and worry about the past. You put up walls out of fear of getting hurt. When it comes to relationships, you look for someone who is everything you can imagine and judge people a little too quickly before realizing they could make you happy. It’s admirable to hold yourself to a high standard but sometimes you’re too hard on yourself. This impacts what you look for in a partner. Struggling to accept yourself will make it hard for you to accept others. Being so series also isn’t what life is about. It’s okay to let yourself be happy sometimes. Pls.give details for leo. Which is most imp.